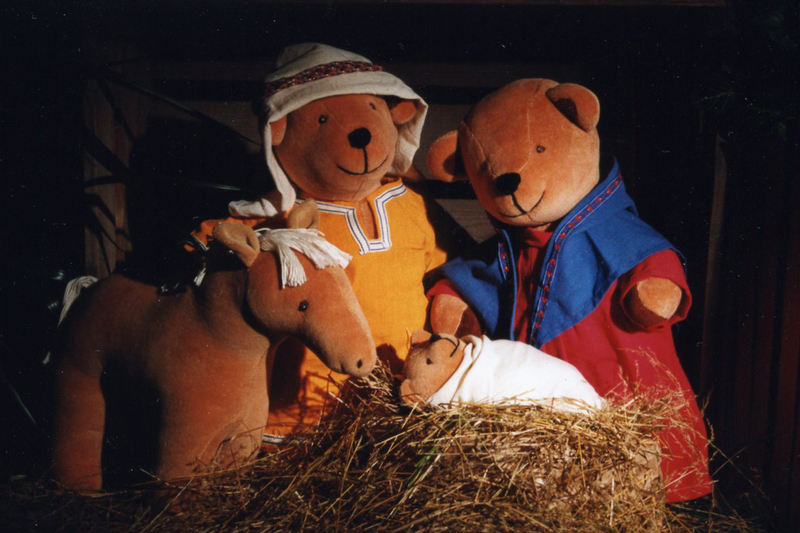 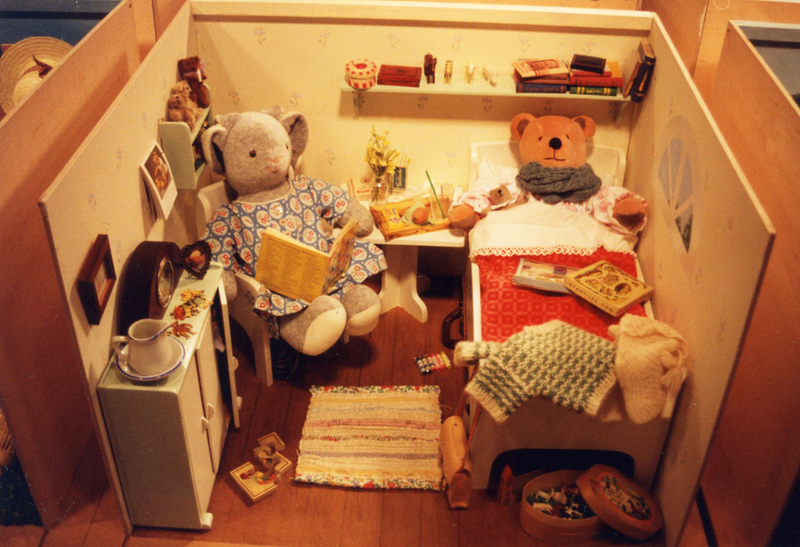 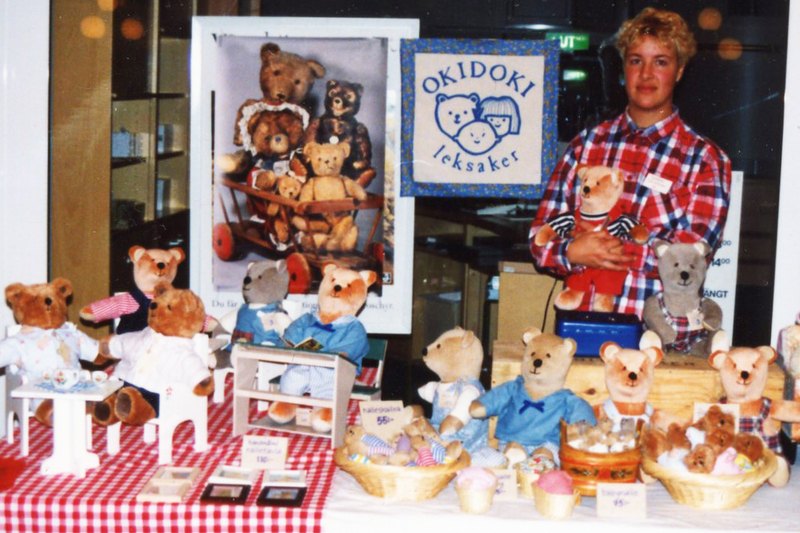 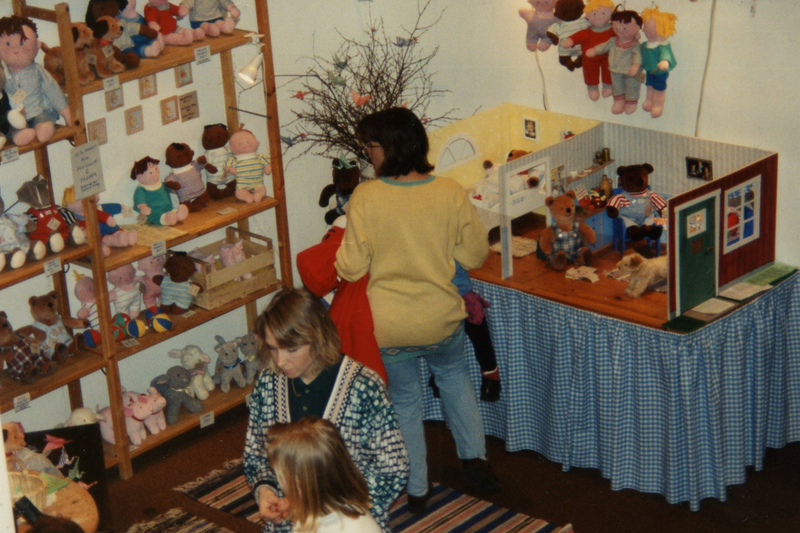 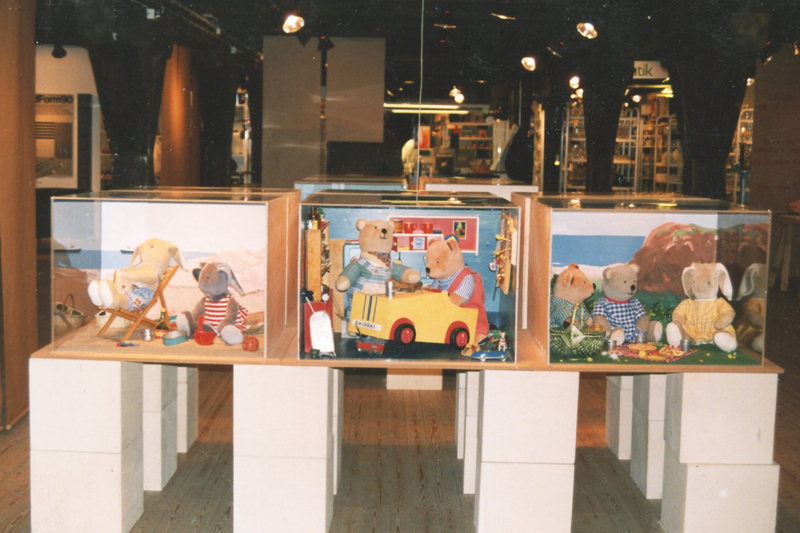 In 1991 the first house for the bears and rabbits where shown at a toy-show in Kristianstad, Sweden. First Teddybear show in Malmö arranged by Margarethas Dockskåp. 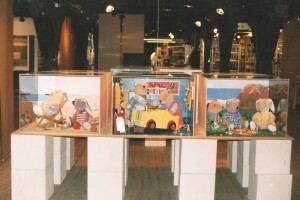 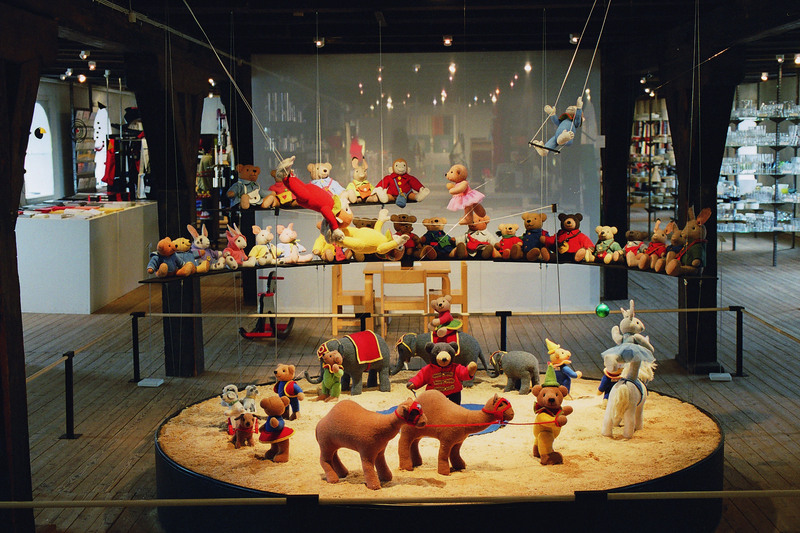 The Exhibition “The World of Teddybear and Rabbit” was shown at Form/Designcenter in Malmö 1992. the 16 settings where made of plywood and plexiglass filled with lots of collected and specially made miniature things. 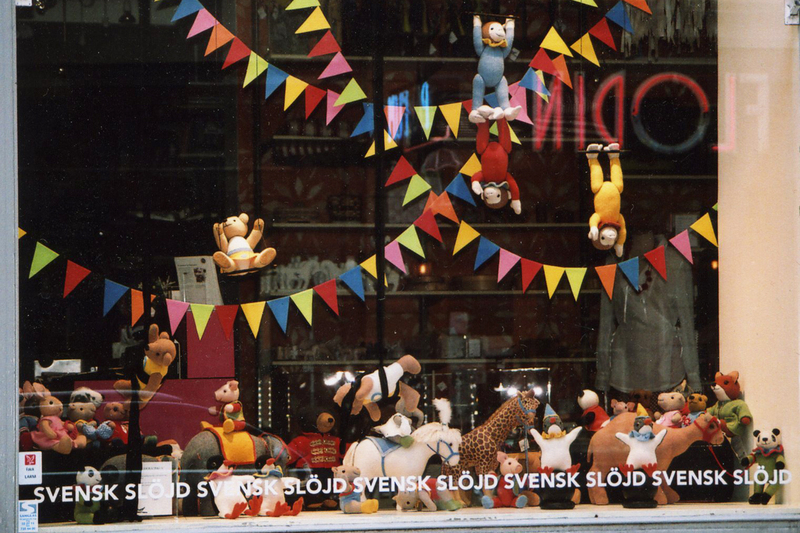 It was put up in museums all over Sweden. Setting with rabbit visiting the sick teddybear. 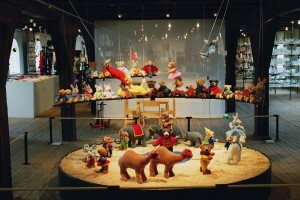 “The circus comes to town”, an exhibition at Form/Designcenter in Malmö 2007. 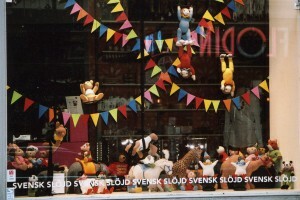 Window display at Svensk Slöjd in Stockholm 2008.